The founding of Zonta International occupies a unique moment in women’s history. Established in Buffalo, New York, USA in 1919, early members were among the first generation of college-educated women, the first generation of North American women to vote, and a part of the growing, though still comparatively small, legion of women entering the workforce. Over the decades, Zonta International has grown into a worldwide service organization of executives in business and the professions working together to advance the status of women. There are nearly 30,000 members in nearly 1,200 clubs in 67 countries all over the world. While working in a prominent role at the Buffalo Express at a time when women rarely held leadership positions, playwright and journalist Marian de Forest conceived the idea of an organization that would bring together women in executive positions. She envisioned a strong network that would help women reach their rightful places in the professions. Zonta’s first club was chartered in Buffalo, New York on November 8,1919. Membership grew rapidly. By 1920, a confederation of nine Zonta clubs had formed with 600 members. While Zonta shared a common vision with hundreds of women’s clubs in the first part of the 20th century – encouraging women’s teamwork, courage, risk-taking, and self-reliance – it also represented something of a departure. Zonta’s strict business and classification system required its members to be employed at least 50 percent of the time at an executive or decision-making level in a recognized business or profession. In addition, each club could have just one member per business classification, a requirement that ensured clubs would consist of “experts” in a broad range of fields. The founders foresaw the benefits of having clubs made up of architects, artists, educators, entrepreneurs, executives, doctors, government officials, lawyers, pilots, scientists and more. This diverse expertise meant clubs could offer their communities and the world optimum service, backed by a broad range of understanding and insight. Early members were keenly aware of the challenges of carving a place for themselves in what was still a predominantly male domain. Many Zonta clubs actively pursued gender equity in employment opportunities. 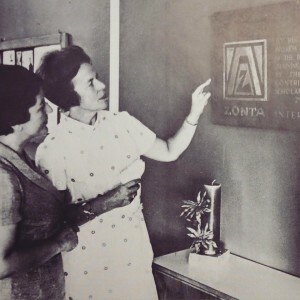 During the 1930s, Zonta International grew to 130 clubs in six countries spanning three continents and continued its push for gender equity in employment. After the United States passed the “Married Persons Law,” which predominantly affected wives by prohibiting more than one family member from working for the government, Zonta adopted a resolution to demand repeal of the law; and, in 1944, delegates to the Zonta International Convention endorsed the elimination of gender discrimination in job opportunities and rates of pay. The organization also expressed support for women’s reserves to the military service. While Zonta’s work to achieve gender equity in employment dates back many years, so do its efforts in other critical areas of women’s lives. Education has been a focus since the adoption of the Vocational Education for Girls Project, Zonta’s first US service program, in 1928. The project asked Zontians to provide information on their job descriptions, work conditions, compensation and training requirements for a centralized job bank available to high school libraries, universities and colleges. In 1923, Zonta supported relief efforts to care for 115,000 orphan children in Smyrna, Turkey, an event that marked the beginning of Zonta’s dedication to helping women internationally. As technology made the world a smaller place and Zonta clubs sprang up around the globe, international service projects, initially dedicated to world peace and women’s role in attaining it, increased. 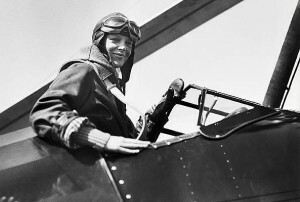 Action for World Peace expressed support for the fledgling United Nations (UN) and was adopted at the 1946 Convention.The Amelia Earhart Fellowships Program, launched in 1938, commemorates groundbreaking aviator and Zontian Amelia Earhart. Ellen Parks, then serving as Zonta International President, remembered, “At that time few women considered a career in aerospace engineering, yet not one voice of doubt was raised as to the success of such a scholarship.” Ten years later, the Z Club Program was established to promote youth leadership and career mentorship. Today, these programs stand as Zonta’s longest running programs, two of several dedicated to improving educational, leadership and youth development opportunities for women around the world. In 1956, when Soviet troops marched into Hungary, Zonta International worked through the UN to provide food and shelter to Hungarian refugees. Since then, Zonta has frequently funded UN projects through the International Service Fund. Projects such as the Vocational and Teacher Training Center for Women in Ramallah, Jordan; Mobile Medical Units to serve mothers and children in rural Ghana; the Young Mothers Hostel Project in Uruguay; and the Revolving Loan Fund for Village Women in the Delta and Upper Egypt have improved thousands of women’s lives. One of the first service organizations to understand women’s unique role in achieving world peace, Zonta International continues to promote justice and universal respect for human rights and fundamental freedoms.Zonta Clubs still select, fund and participate in community projects fundamental to promoting women’s economic self-sufficiency, political equality, access to education and health care and the elimination of violence against women.Each year, Zontians dedicate thousands of volunteer hours and millions of dollars to affecting these changes, while the Zonta International programs funded by the Zonta International Foundation impact these issues on a global level.